Staff can encourage student engagement in a variety of ways, so that students are active partners in their education and can help inform University strategy. Student engagement is about empowering students to be active partners in their education. A highly engaged student community helps us to continually improve and develop our learning and teaching. Student feedback and opinions help us to monitor and improve the learning and teaching experience here at Bath, and inform University strategy. There are a number of ways that staff can encourage and promote student engagement. The SU Bath organises elections at the start of each academic year for students to nominate and vote for their Academic Rep. Reps ensure that student concerns, views and opinions are heard and acted upon by the University and The SU Bath. If you would like to encourage your students to think about becoming an Academic Rep, please direct them to www.thesubath.com/academicreps/elections to find out more. Find out more about Academic Rep Elections organised by The SU Bath. Email academicreps@bath.ac.uk for further information. SSLCs are the main official channel for communication between staff and students. Each Faculty and the School of Management have a separate SSLC for research students. SSLCs are attended by staff and student Academic Reps. Meetings are an opportunity for students to raise concerns, views and opinions about learning and teaching. SSLCs may be chaired by a member of staff or an Academic Rep. This varies from department to department. Contact the Student Engagement team if you would like further information about SSLCs. Find out how to submit SSLC agendas and minutes. For further information about how the University and The SU Bath support SSLCs, see our Code of Practice QA48. You can encourage your students to become 'change champions'. This scheme gives students the opportunity to run a self-contained project to directly impact change at the University. 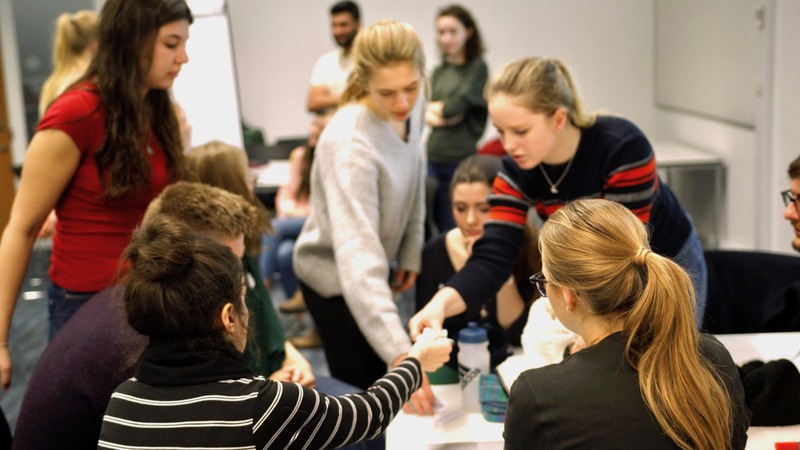 Student projects could be anything from running a student conference, organising a skills or employability event, to community outreach and environmentally focused initiatives. The time spent on change champion projects can be put towards the Bath Award. It is also an opportunity for students to develop professional skills such as leadership, project management and research skills. Change Champions are supported by the Student Engagement team in CLT and The SU Bath. If you would like to promote the scheme to your students, please direct them to https://www.bath.ac.uk/guides/change-champions/ where they can find out more. Email changechampions@bath.ac.uk for further information. Student surveys for the 2018/19 academic year will be open for 12 weeks from Monday 4 February until Tuesday 30 April 2019. Find out more about the 2019 survey campaign. We greatly appreciate the role that our academics and teaching staff play in achieving high response rates. When surveys are open, please remind your students about the surveys during teaching sessions, by email and via any other communication channels that you regularly use to contact students. Please reassure students of the value of their feedback. This is their opportunity to provide their views about what they think the University does well, and areas where they think we could improve. These surveys provide valuable data that help the University to monitor student satisfaction, assist with quality assurance and provide information to prospective applicants. Contact the Student Engagement team if you would like further information. Data from past surveys can be found on the Surveys Data wiki page. Each semester the University asks all students to complete unit evaluations about their course. This is an opportunity for students to provide anonymous feedback about curriculum, teaching and assessment. See our guide for staff to find out more about unit evaluations, including survey dates, questions for the survey, encouraging constructive feedback, and sharing results with students. As part of developing a culture of student engagement, it is important to inform students about any changes that have been made in response to their feedback. "Thanks to your feedback, we decided to..."
This helps to reiterate the value of completing surveys and providing feedback via other forums, and can encourage students to become more involved as active partners. Update your departmental Moodle page with details of any changes that you have made to learning, teaching and assessment in response to unit evaluations and other student feedback mechanisms. Include details about changes in any departmental news communications that you produce for students. We are always to keen to hear about changes made at programme, departmental and Faculty/School levels in response to student feedback. Your examples help the Student Engagement team to share best practice across the University. Please let us know how you are responding to student feedback by emailing studentengagement@bath.ac.uk.